Twitter / @RoxeteraRibbonsSnapchat removed this Lense after the artist who created the design publicly complained. Snapchat has responded to allegations that it stole artwork for its selfie filters and other graphics. The response comes after a story published by The Ringer on Thursday detailed how multiple artists and designers have had their work closely copied by Snapchat’s face-tracking filters, which the company calls Lenses. Argenis Pinal, a makeup artist, recently had his joker-esque face paint design copied by a Snapchat Lense with permission. 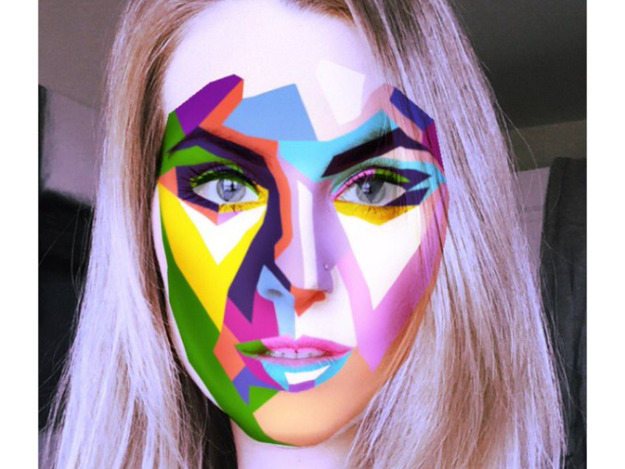 Russian artist Alexander Khokhlov got a lot of publicity in early May when Snapchat blatantly repurposed his geometric face paint design for a Lense in its app. Beyond Lenses, another artist named Lois van Baarle said that Snapchat had repurposed her fox drawings for stickers in the app without her permission.